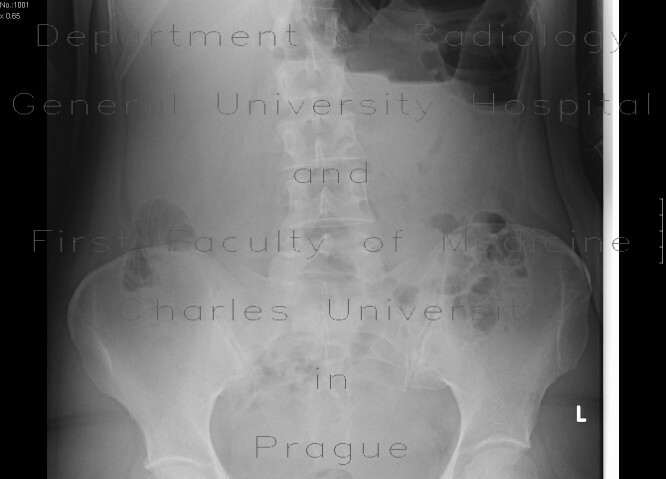 Several U-shaped distended small bowel (jejunal) loops with air-fluid levels in left upper quadrant. The root of mesentery with its vessels acquired whirl-shaped configuration due to torsion. Distended, fluid-filled jejunal loops with air-fluid levels.